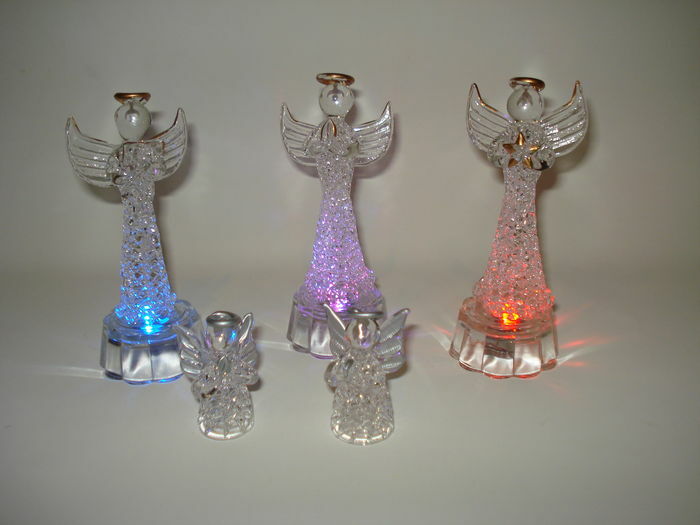 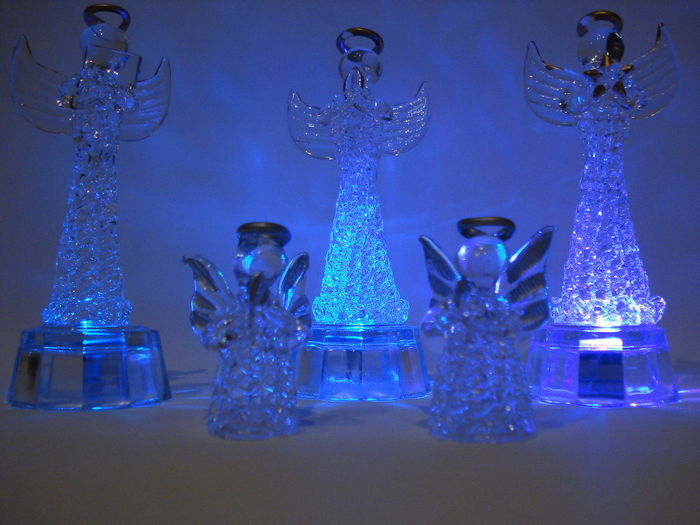 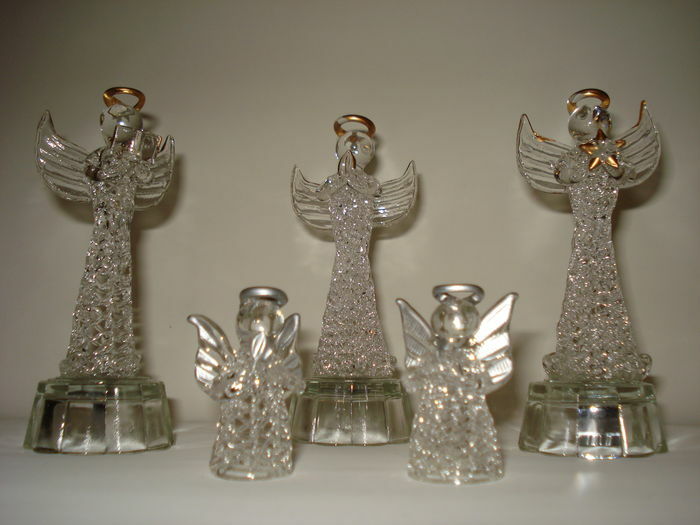 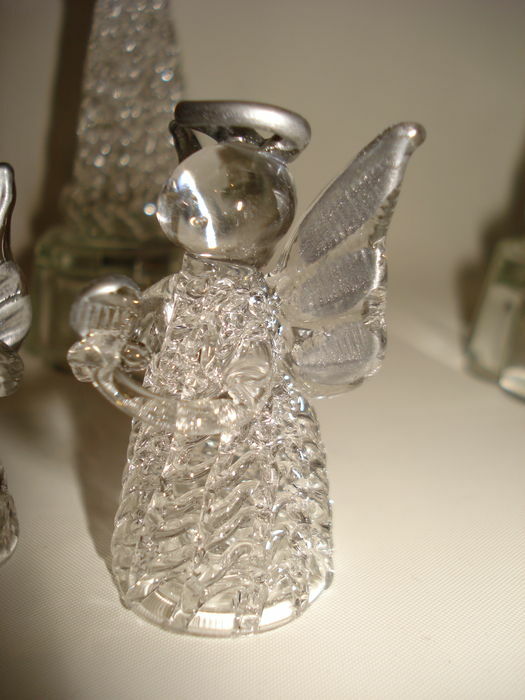 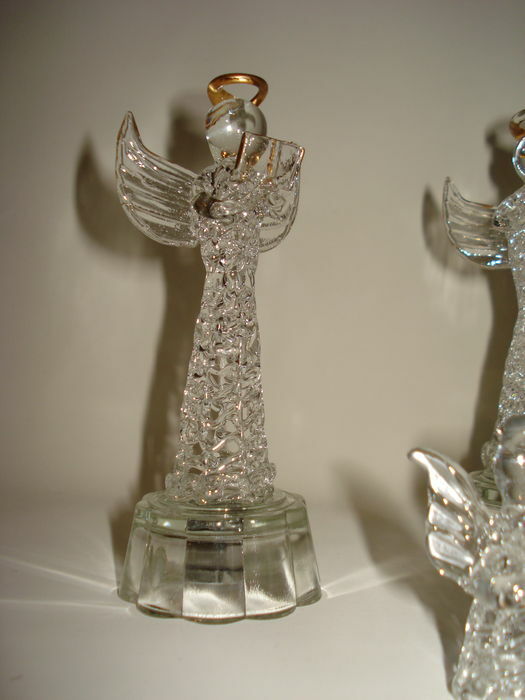 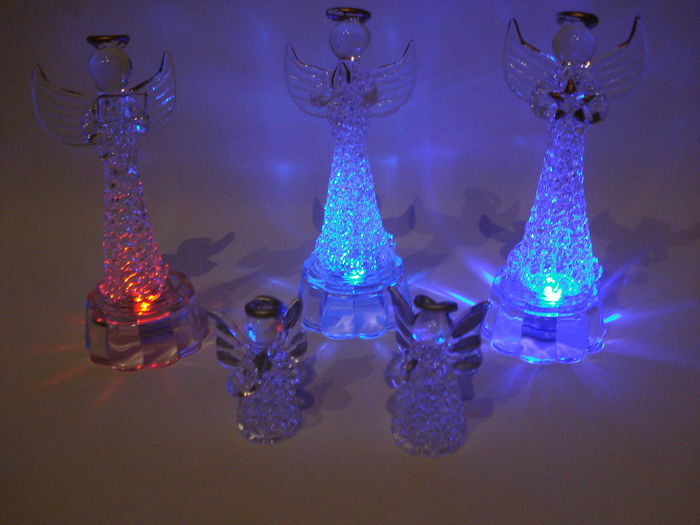 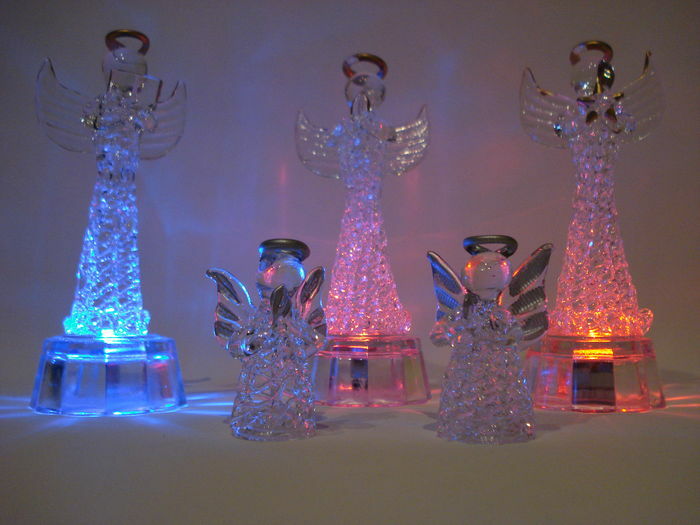 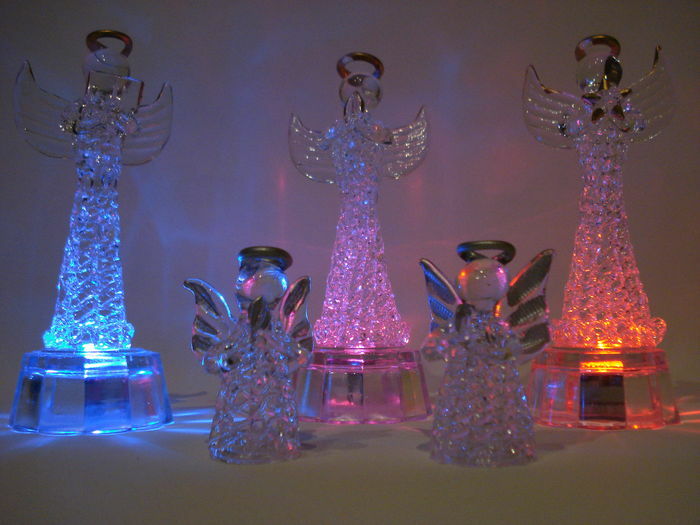 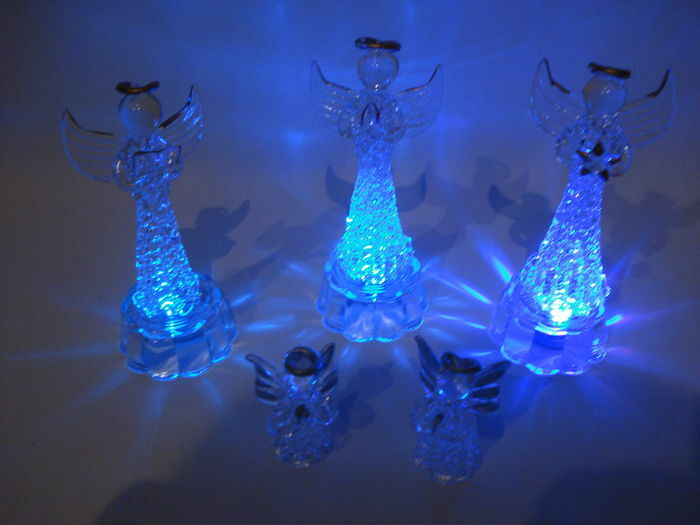 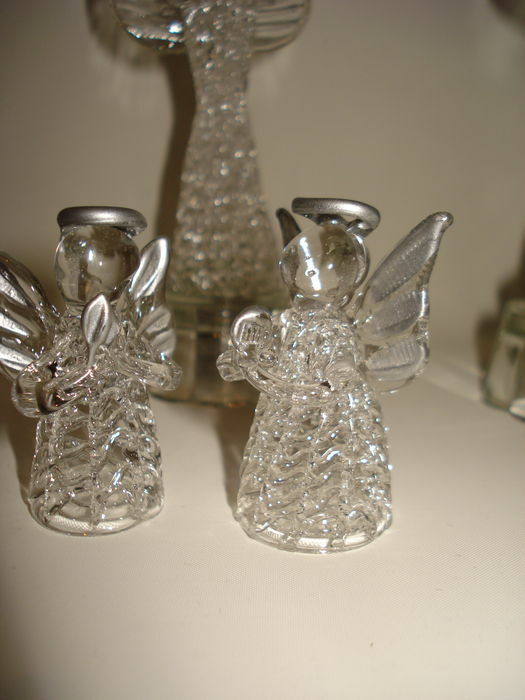 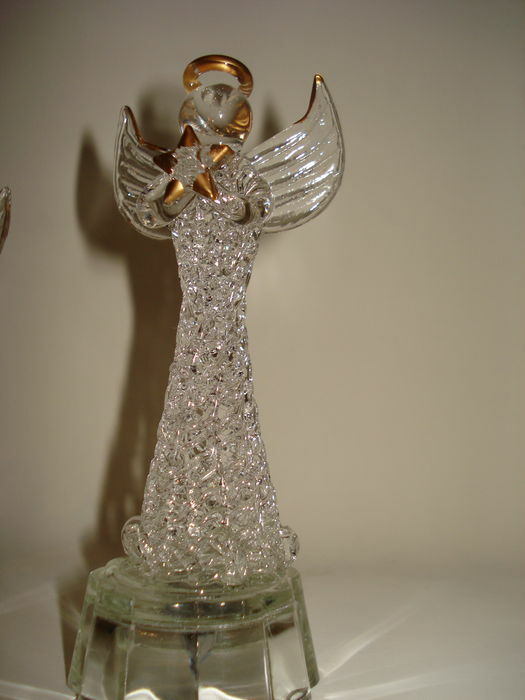 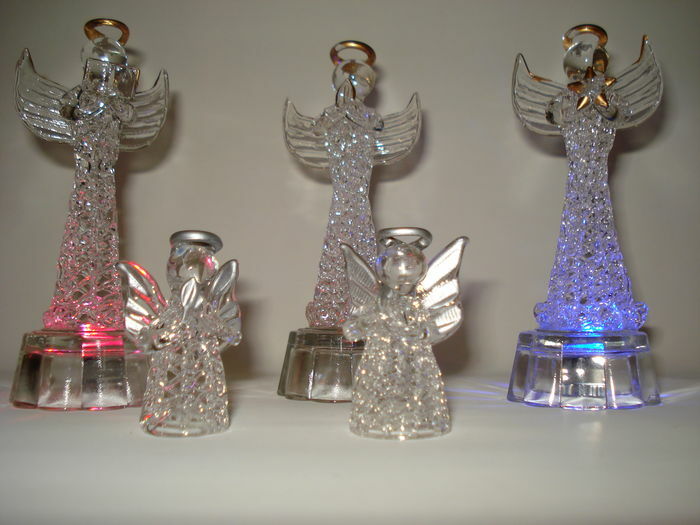 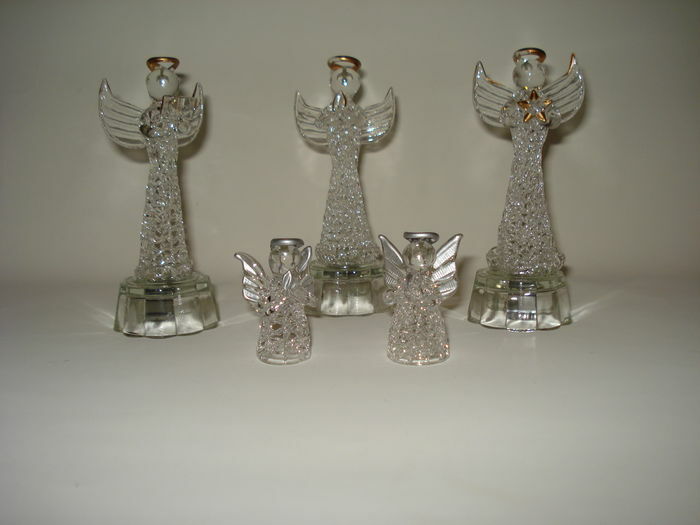 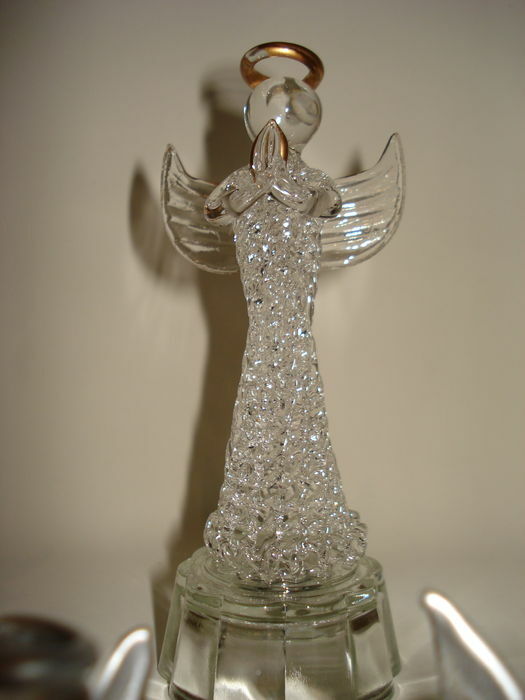 Nice set of 5 beautiful little angels in glass, in 2 different sizes. 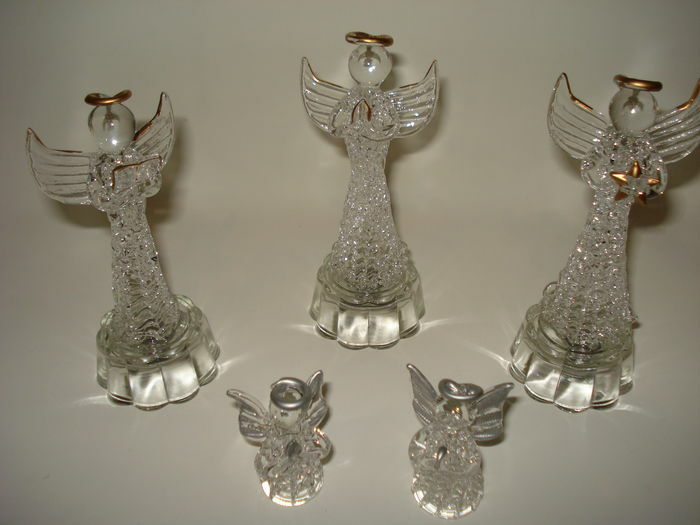 They are handmade, and the dress is of very fine braided glass. 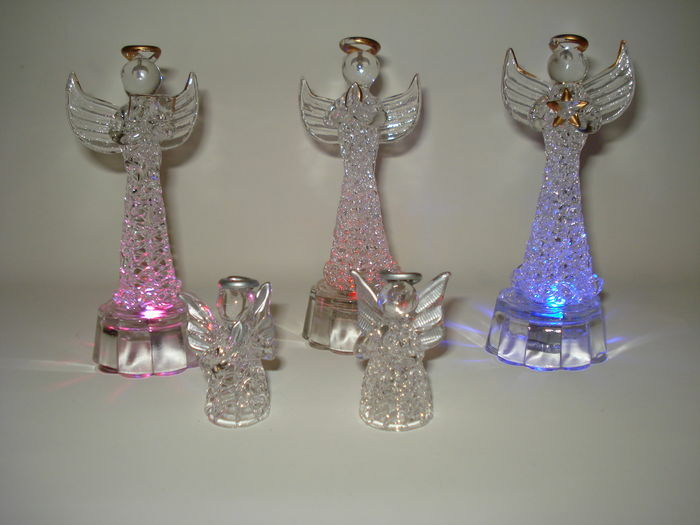 3 large angels are accented with gold decoration and they are equipped with coloured lighting, which gives a nice effect. 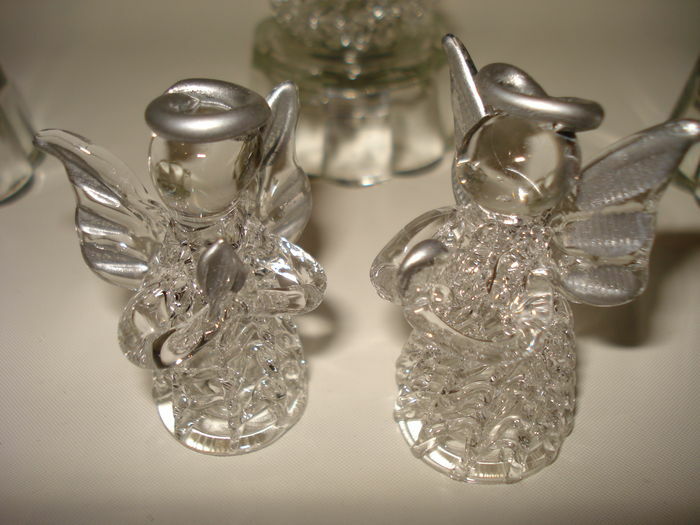 The 2 smaller little angel have a silver halo.